A simple intersection in Wuppertal, Germany becomes a microcosm of the patterns of everyday life. Cars trace the angles of the streets, pedestrians forge new paths and Wuppertal's famed Schwebebahn turns our expectations upside-down. 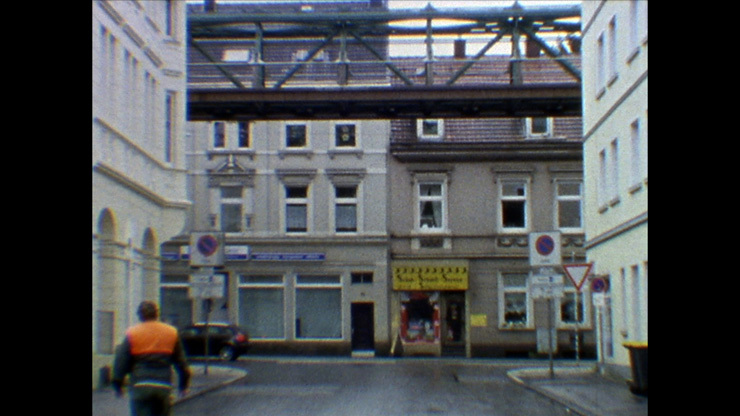 Shot on Super 8 in Wuppertal April 28, 2009, while making Phantoms.